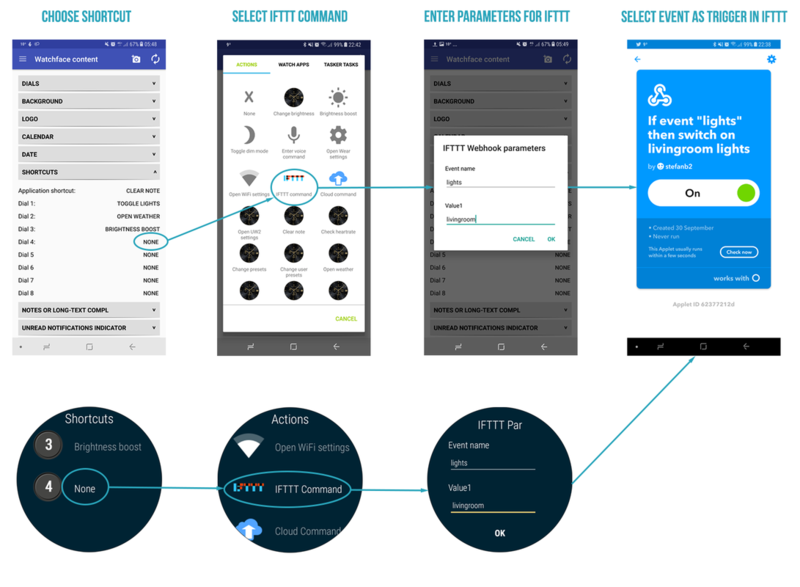 Ultimate Watch 2 has a built-in API based on web-hooks that you can use to control different tasks or functions in Ultimate Watch 2. 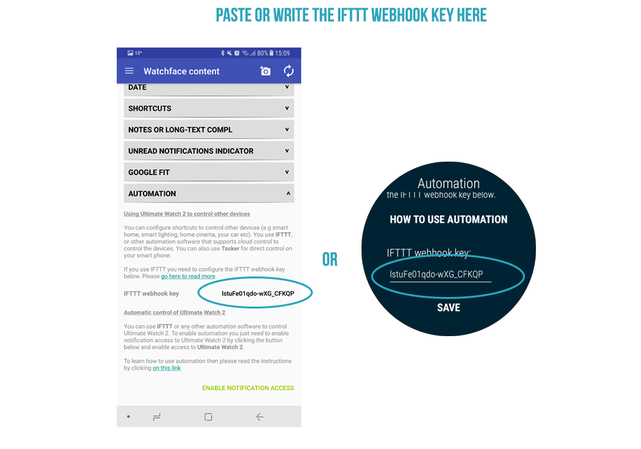 You can use these web-hooks with automation software such as IFTTT, Microsoft Flow, Tasker, AutomateIt, Automate to automate control of Ultimate Watch 2. 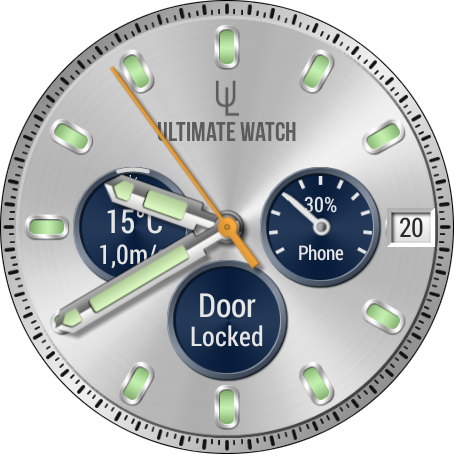 You can even integrate your own app with Ultimate Watch 2​. You can make your own custom dial complication showing custom data from your own source. For example you could make dial to display the battery level on your phone or a dial showing if the door to your smart-home is locked or not. If someone has a birthday today you can automatically put a reminder as a note in the watchface. and sending the commands as url encoded or JSON encoded parameters to the request. You can send the parameters with either POST and GET HTTP method. The user code for the watch. This is a mandatory parameter. The gmail address you used to authenticate with when you generated the user code. This is a mandatory parameter. You can send multiple parameters in the same command. To be able to identify the watch to send to a Watch Code and Email address is needed. These are sent as parameters in the command (with the name aid and email). ​​To get the code that identifies your watch, please open up the configuration menu on the watch (long press on watchface). Then scroll to the Web control menu and make a note of the code. If you have never generated the code before, then press the button Regenerate Code to get a code. Please make sure that your watch is connected, preferably to WiFi, before you do this. 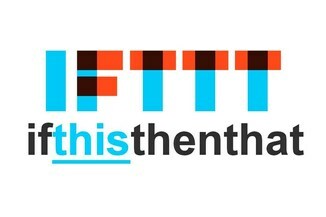 When making a IFTTT applet then you select Webhooks as the "That" part of flow. Please see image below to see how to set the parameters. In this example we set a new note with the text Example note. This will update the dial with the title Phone and text 30% and a progress indicator showing 30% progress. See screenshot below. Please note that you can have several custom dial complications active at the same time. Just use different comp_id to identify the different dials.